I’ve been using this app for about 4 years now and it’s been a life saver for me. I do a lot of online shopping and I live in an apartment complex that the building is locked. So you need a key to get into just to be able to get to my front door. Not all drivers have a building key and if the driver can’t get to my door they don’t leave my package at the main door so then I used to get a sticker saying they were here but unable to deliver my package and will try again. Then they’d never get to my door. 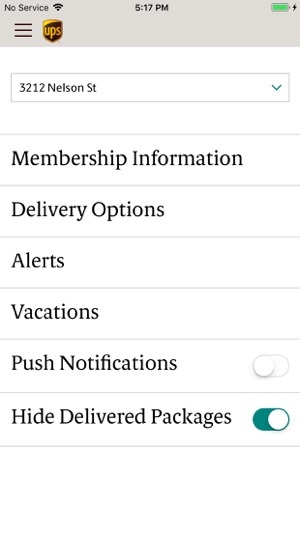 BUT now with the app I’m able to change my delivery options to pickup. GAME CHANGER!!!!! I just get the notification that my package is coming then it takes me 20 seconds to go in and change it from a delivery to a pick up. 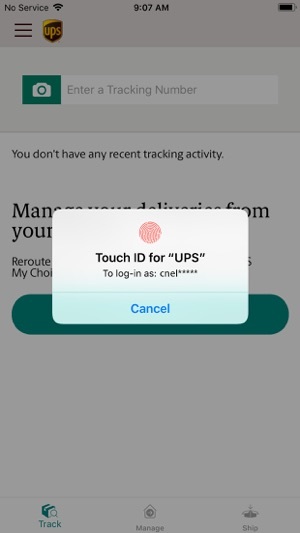 You can choose what UPS drop off point you’d like to pick it up from. I’m lucky and only live about 5 mins from our local UPS so I always just pick up from there. Now I am able to pick up my packages when they open at 11am instead of waiting until about 3 for it to be dropped off. What can I say I’m inpatient and am always super excited for whatever it is I ordered (which is usually makeup and am obsessed with). 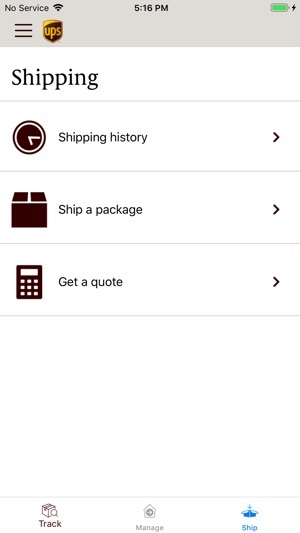 I’ve been very lucky and have never had 1 single problem with the UPS app. And honestly if I did it really wouldn’t matter. I view it as an amazing tool that is being given to me and is not mandatory for UPS to provide. I’m thankful and lucky I’ve never had a problem but if I did I’d still try using it. Wonderful app for online shoppers! I have used this app for years and it is very helpful. 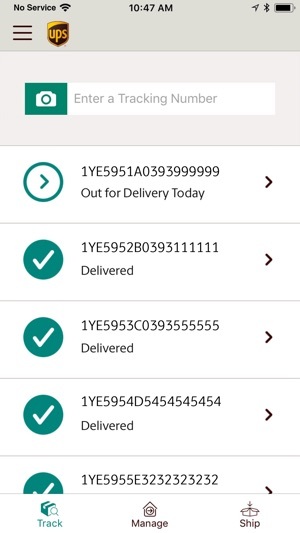 It gives tracking updates as notifications, which is helpful in planning for a delivery so it isn’t sitting outside tempting a thief to grab it. 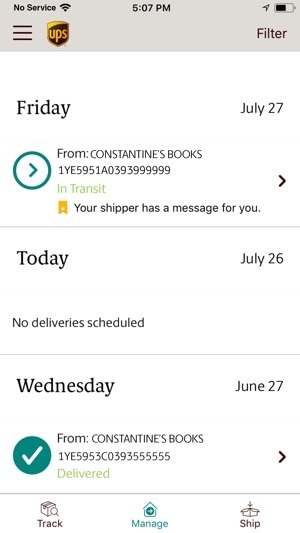 If we are not going to be home when a delivery arrives, I can have a neighbor grab the package when the app alerts me it has arrived, as it gives real time updates! This entire company is superior to the other delivery company, including the app. I try to have everything shipped UPS if possible because sometimes Fed ex will hold packages up to a week if they don’t have a delivery close to our home. Living far from the city, it happens often. I have had to track down refrigerated medications and gifts that express shipping was paid for Christmas delivery with Fed Ex (and they were “somewhere at our local shipping facility but couldn’t be located, with the tracking number”). I have never had that issue with UPS, they deliver on time every time and sometimes EARLY. 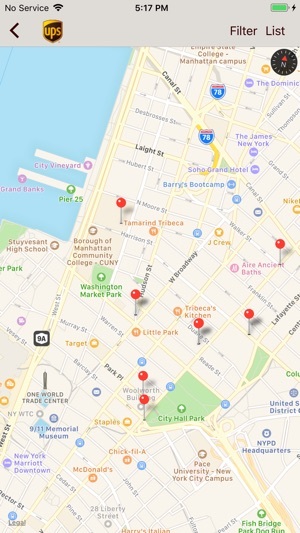 This app doesn’t disappoint those that need to know where sensitive packages are located with a definitive date and estimated arrival time. Love UPS delivery, and auto tracking! I had gone through a difficult repair to husbands iPad. It had to be replaced, but only after receiving it back twice, and the second time they had replaced the battery, but had not taken off the Balastic Glass screen protector. So before sending back for the third time, I waited until the battery went dead! I knew the main circuit board had finally had it. It took about the entire month of August to receive the new replacement which was going to be an upgrade. This time I got it tracked by UPS and it was delivered a day before we expected it. This had been hard to believe but we were very happy to get our replacement and we can use a hot spot and tether the iPad to the iPhone so he can get his calls more easily because he carries it around the house, and he will be able to use it in the car while going to his medical appointments now. It was a great day when he had his own iPad again. Thanks for the great service from UPS and really appreciated the updates so he could relax and have a nice weekend when it did arrive! 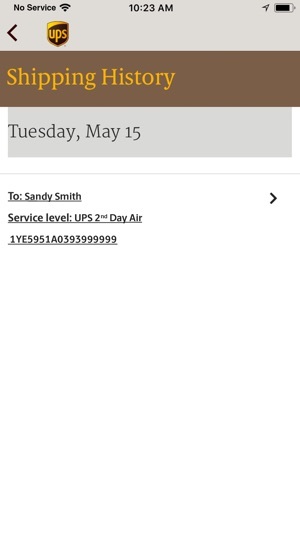 Copyright © 2009 - 2018 United Parcel Service of America, Inc. All rights reserved.